I freaking love Twitter. So many links posted, so many exciting things to click.... Okay, so a large number of them are utter crap, but once in a while there's a gem. 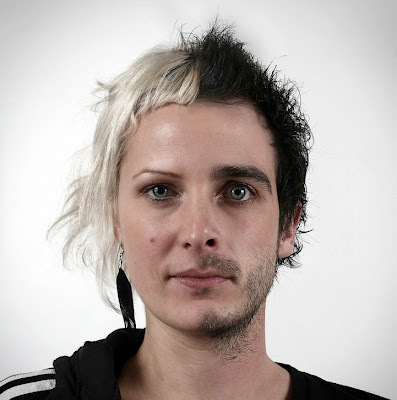 Like this story about a photographer who has created a series of portraits in which he has merged the faces of two family members. I'm not gonna lie—the portraits are a little weird, but undeniably cool.